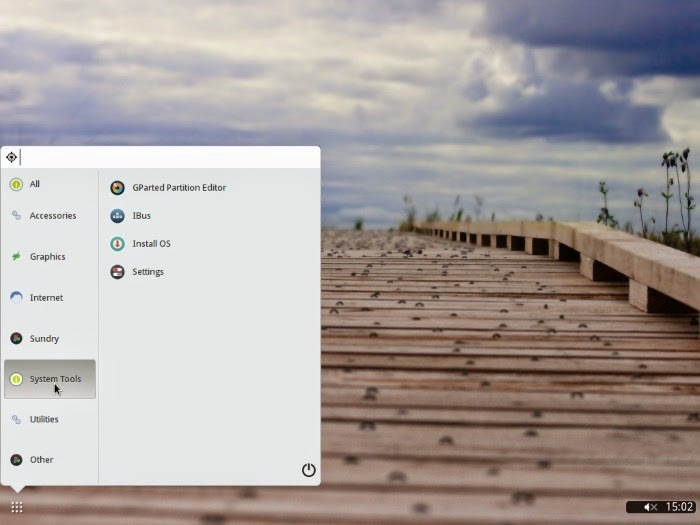 Evolve OS is a new desktop Linux distribution which includes the Budgie Desktop. The project has just started making its first public releases and is currently in the Alpha stage, so don’t expect everything to be working flawlessly. It is also worth noting that Evolve OS only supports 64-bit processors (x86_64 or amd64) and that there are no current plans to release a 32 bit version. This means you need a PC with at least an Intel Core 2 or Athlon 64 processor. Most modern processors from Intel and AMD are 64-bit. For those who are not aware, Budgie is a clean and lean desktop environment that could offer a real alternative to other desktops like Unity or Cinnamon. Mutter is currently in the process of being rewritten to become Wayland compositor. This means that Budgie should also support Wayland in the future. The distribution itself seems to be forward-looking, for example it uses systemd as the init system, something that Debian and Ubuntu will be using in the future. It is also built from scratch meaning that it has no upstream source, and neither is it dependent on any design decisions made upstream. This means the distro can steer its own course. If the distribution can attract a loyal following, then Evolve OS could become a popular choice among Linux enthusiasts. 1. Download Evolve OS and burn the .iso file onto a CD or DVD. Insert the disc into your CD/DVD drive and boot the PC. You may need to alter your BIOS so that the PC boots from the CD/DVD drive. The first few questions relate to your language and keyboard settings. Select the appropriate options from the lists given, clicking “Next” at each stage. You will then be asked where Evolve OS should be installed; select the appropriate drive or partition. Be careful when selecting the install location; you don’t want to select a drive or partition with existing data on it. If the selected drive is empty, you will need to launch the partition editor. 3. 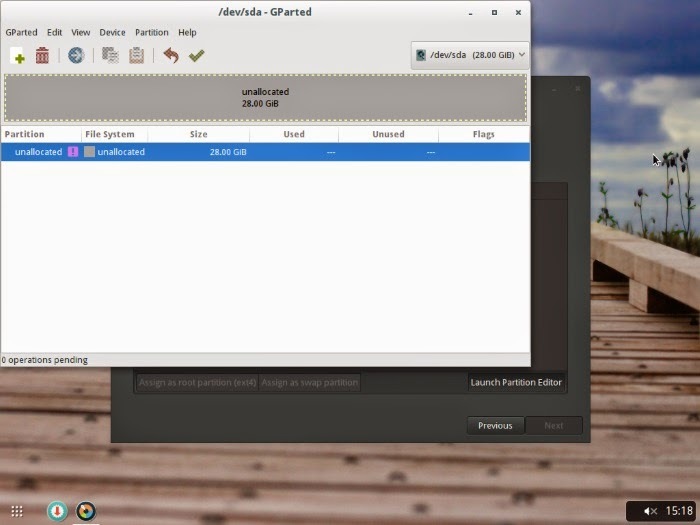 In the partition editor, create two partitions, one “linux-swap” partition and one “ext4″ partition. Click the green tick symbol to apply all your changes. Exit the partition editor. 5. On the next set of dialog boxes: Choose your timezone, add a user, and set the hostname. On this last dialog, tick “Should we install a bootloader (GRUB) on this computer?” Select the install disk from the drop down list. Click “Next”. 6. 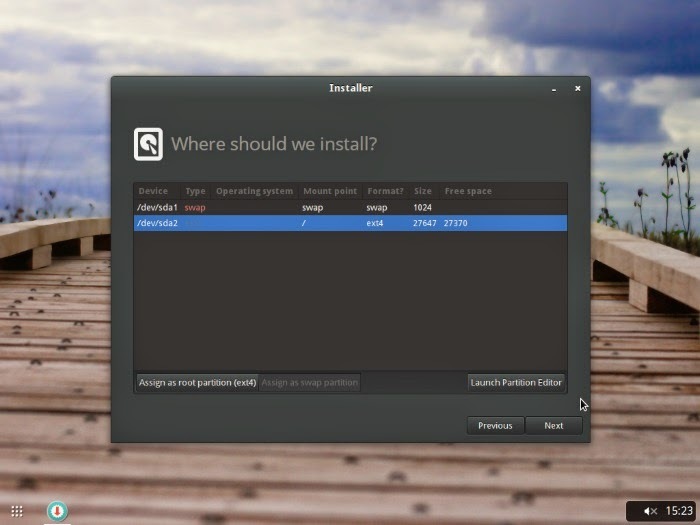 Now, check the summary information given and click “Next” to start the installation. 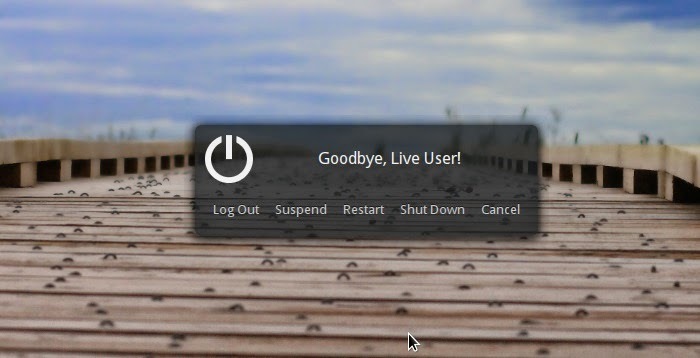 Once the installation has completed, exit the installer by clicking the “X” in the top right hand corner of the window. To restart Evolve OS from the hard disk, reboot your PC without the CD/DVD in the drive. 7. To reboot, click on the grid of 9 dots and then click on the power icon towards the bottom right of the menu. Finally click “Restart” on the confirmation dialog. Evolve OS doesn’t come with much software pre-installed. On the command line, you get the basic binary utils plus programs like “nano” and “wget.” There are also some interpreted programming languages like Perl and Python. On the desktop, you get Firefox and GIMP, plus some smaller utilities like gedit and a calculator. One of the big features of Evolve OS is that it uses the Budgie Desktop by default. 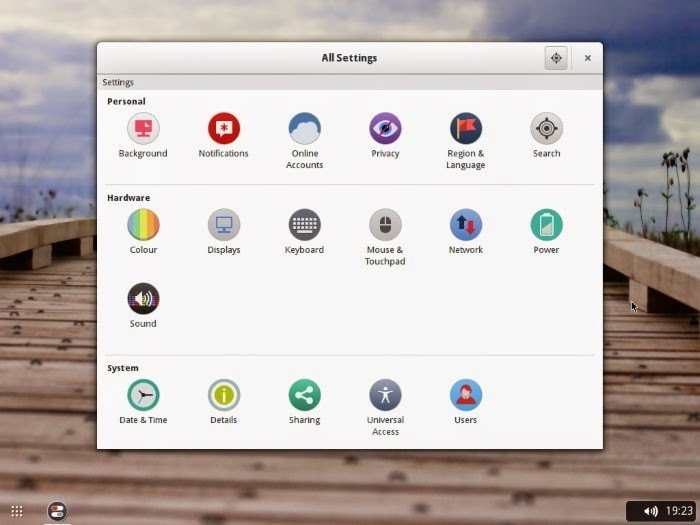 Unlike other desktop alternatives, including Cinnamon, Budgie isn’t a fork of GNOME but rather a drop-in alternative that works directly on top of the default GNOME stack. It is built on Mutter, a window manager that uses Clutter and GTK+. Clutter is a graphics library for creating hardware-accelerated user interfaces using OpenGL. Hardware-accelerated user interfaces haven’t yet reached their full potential, and building a new desktop entirely from scratch that is able to utilize such technologies means Budgie has room for growth and expansion. The command above uses “pisi“, the main binary for the PiSi package manager. However, according to the Evolve project website, the project will switch to “eopkg“, which is a forked and renamed version of PiSi. Where “gcc” is the keyword that you want to search for. There are lots of useful programs missing at the moment, like an email client or an office suite, but this is only the Alpha stage of the project’s development. The install process needs to be easier if the distribution is to gain any main stream acceptance, however the potential for Evolve OS is enormous. Why not give Evolve OS a try, and let us know your thoughts on this new distribution in the comments section below.